If the Canon printer model in NOT in the Ubuntu list of printers then it is almost nightmare. For example I have canon M4350d Image class printer and Ubuntu can NOT find the driver and I can NOT print. Thanks for sharing this tut. I didn’t actually need it but I thought I would just share my experience anyway. 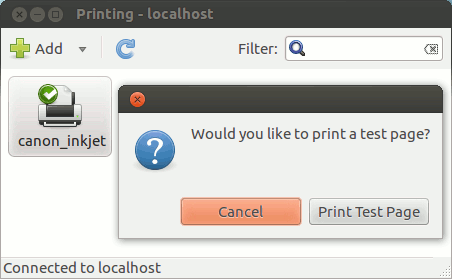 All I did was plug my printer in and it installed itself! And yeah, it was only a few seconds later I was printing out .pdfs. 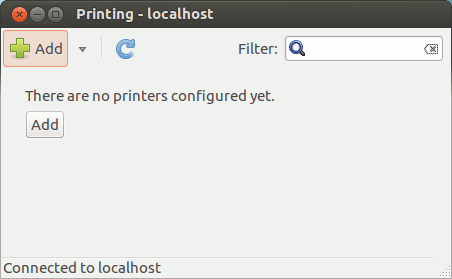 I have a “Brother HL-2132” printer so yeah… Go Ubuntu + Brother Printers! Thanks John, for sharing your experience. 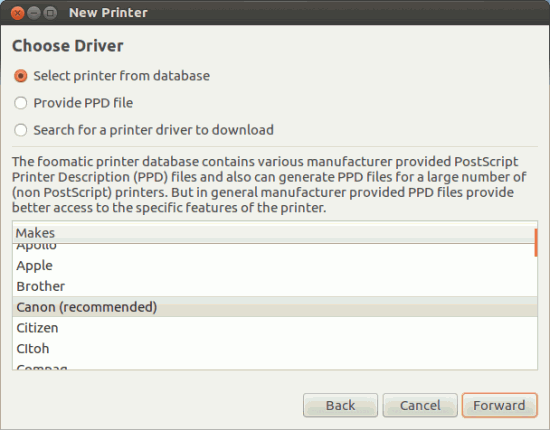 Sometimes Ubuntu detects the printer automatically, selects the appropriate driver and installation is completed without any hassle but sometimes it may cause a little pain (as in my case – i was using Cannon Printer). I have a Canon Pixma MP160 and did a recent upgrade to Ubuntu 12.04 and my printer installed with it but it goes through the stages to print but never does and when I click on the printer it says status: stopped. Don’t really know what to do? It is very heartening to note that more and more Indians are writing about open source (nothing chauvinistic as the web is open to all). It is my belief that computer literacy in developing world can be spread much faster with open source and the benefits reaped by very much larger numbers of users, developers and other IT professionals as compared to proprietary OS. Carry on, Shri Jha, for the benefit of all. 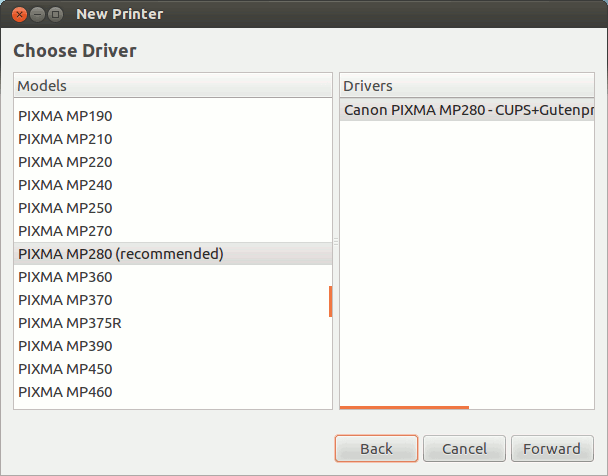 I was trying to install my Canon Pixma MP-160 Printer Driver for Ubuntu with terminal but was worthless. Then I read this and helped me a lot. Thanks!!!! Any idea on how to change the settings. Mine are set to 300 dpi, which prints nothing? 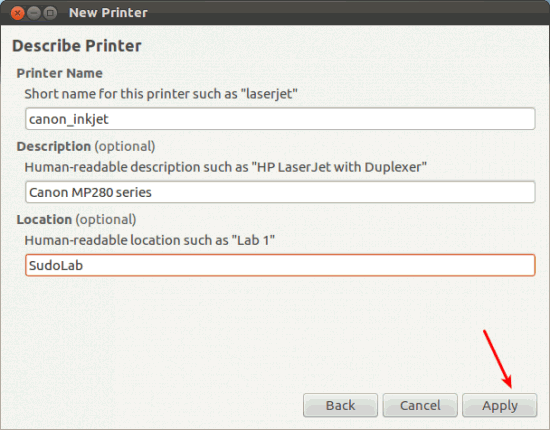 I must change the settings everytime I print something to 600 dpi for instance. What to do if your printer is not on the list? For instance I have the Canon Pixma MX455 what am I supposed to do? No driver for the Canon I6550 (fails during download), it sets the driver for the I6500 which gets all the colours wrong so pretty useless for me (and any other Canon i6550 pixma owners. Cyan and Yellow are right, but the magenta/red prints grey. Also is can’t print higher than 600×600 DPI. Will keep trying though as Windows 7 froze and lost the login UI so I cant even get into safe mode, so Linux is my only option. Thanks a lot. 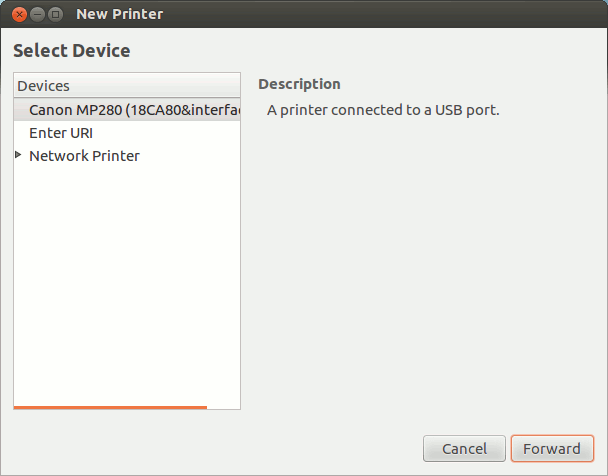 all i need to do is just connect the printer, download the driver and it works in my Canon iP2770. 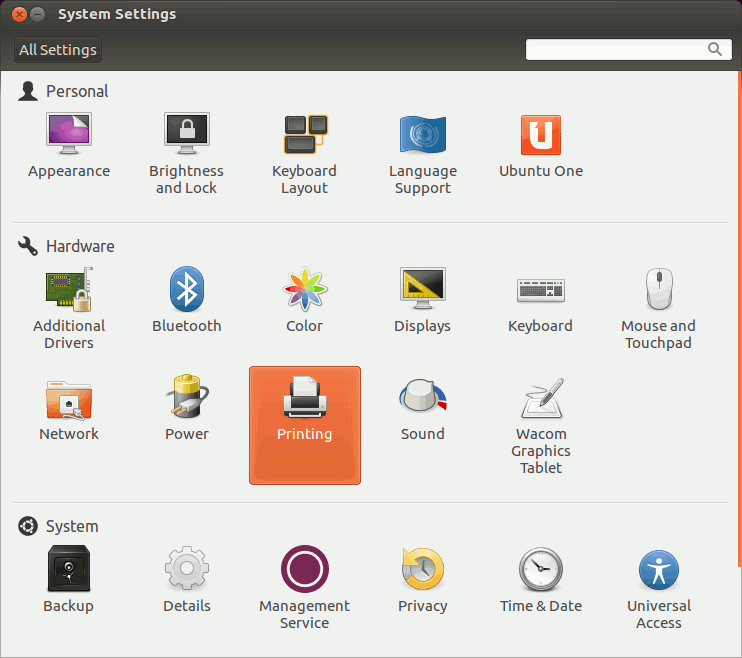 Thanks a lot, works with my Hp wirless D110 printer, on ubuntu 12.04 LTS.